A report for the World bank based on an initiative by the Michael Bloomberg Institute in New York has suggested that Thailand could lose up to 22% of its future GDP potential because of the poor state of road safety and carnage on Thai roads. 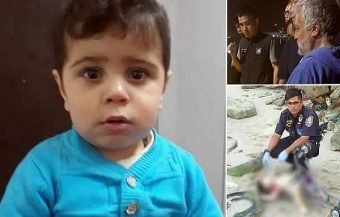 Thailand has recently being acknowledged as the de facto most dangerous country in the world for road safety after you discount Libya, a country that has virtually descended into civil war and civil chaos. Previously, commentators had estimated that the issue could be damaging the country’s economic output by 2 to 5%. The new figures are a wake up call to authorities in Thailand and are based on a new methodology for calculating the links between road safety and a country’s economic performance. A new World Bank analysis of Thailand’s road safety problem estimates that the country stands to lose 22% of its GDP over the next two decades if it does not robustly tackle the issue. This is a picture of a shocking accident in Chonburi in 2015 in which 25 people lost their lives when a car van transport, used by many Thai people as a form of public transport, burst into flames after a head on collision. The shocking toll on Thai roads includes of 24,000 people killed very year with 74% of these motorcyclists. 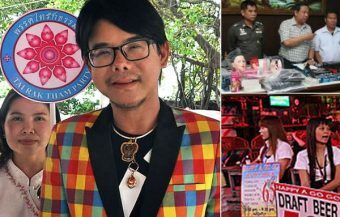 Because of the active age of these people, they constitute a huge loss to the Thai economy in addition to the cost of those injured and maimed in addition to the suffering of familes in the aftermath of tragedies. The new research suggests strongly that a more serious emphasis on road safety provisions in any developing country, but particularly in Thailand, is a direct investment in human capital. Most road traffic fatalities and injuries in road traffic incidents occur to 15-64 year olds engaged directly in the economy. 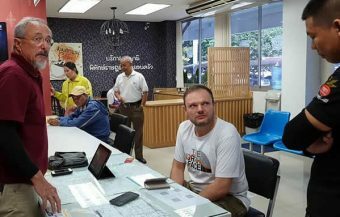 Their loss to the economy and society, as well as the after effects of injuries and the impact on extended families is the basis for the huge loss that Thailand faces in the next quarter of a century if it fails to effectively tackle road safety and lets the current trajectory continue. The study was conducted by the Bloomberg Institute on five developing countries that included China, India, Tanzania and the Philippines. The result of the study showed that Thailand is the country economically with the most to lose from poor road safety conditions. Tanzania, by comparison, was found to be in danger of losing 7% of its future GDP over the next 24 years. A dignified and graceful old Thai woman speaks to an international TV crew. She is commentating on video footage of one of the most appalling road accidents in Thailand in recent years. 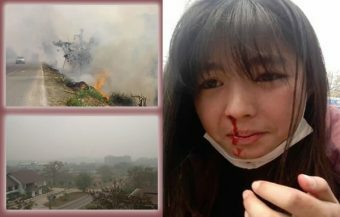 A tragedy that was captured on video, featured on mainstream news channel and one which Thai people will not quickly forget. In 2015 a car van, which is one of the most popular modes of transport for working Thai people, was involved in a disastrous head on collision on stretch of motorway near Chonburi. The crashed vehicle exploded into flames killing all aboard who were unable to escape. The road was closed as ambulances made their way to the scene and onlookers looked on helplessly at the billowing smoke and flames from the mangled wreckage while sirens blared in all directions. People felt helpless and bewildered. 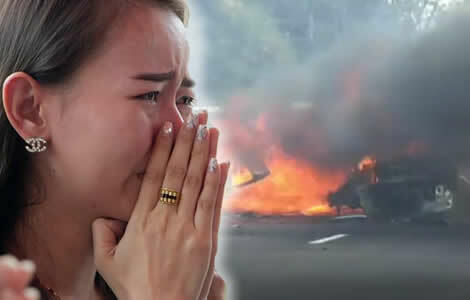 Thai TV audiences were also left stunned by the tragedy and Thai authorities have since suggested a move to ban motor vans altogether and regulate vehicles using hydrogen gas tanks. Many vehicles in Thailand are modified to allow for the use of cheaper LGT gas which is readily available in Thailand at rock bottom prices even though petrol in Thailand is quite cheap and also heavily subsidised. 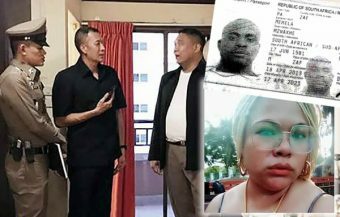 The woman on the BBC news report explains in Thai that she saw the video footage shortly after her daughter, 26 year old Hathaitip Modpai, left on her journey and knew instantly that she was among the victims. She had been trying to phone her daughter on her mobile phone but the number just dialled out. 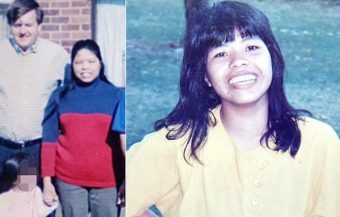 The young Thai woman was an only child who worked as a car salesperson in Bangkok. She had been visiting her parents as is traditional for the Thai children as part of Thai new year tradition. It’s a sad, tragic story. 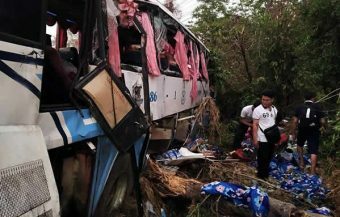 25 people lost their lives on the Chonburi road that day. We next see a casket in a Thai tempe prior to cremation and Thai mourners filing past paying their respects to the victims and offering moral support to the family. 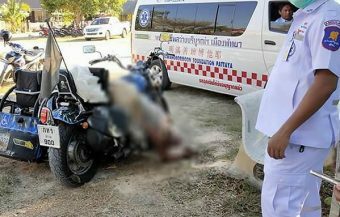 This is, in fact, quite a common occurrence in Thailand where over 24,000 are killed every year including nearly 50 Thai people, mostly young workers in motorbike accidents alone everyday. A woman working in this office recently had to take a day off work to attend the funeral of a young man who lived with his mother and younger brother. He had recently purchased a motorbike and used it to attend his third year at university. Friends of the woman attended the Thai Buddhist funeral rite also to show their support for surely there are no words for a mother or father in such a situation. The loss of such a young life, full of potential on the verge of finishing an education and beginning career is what the initiative by The Bloomberg Institute was measuring in its new research. Research which is the basis for its conclusion that Thailand stands to lose up to 22% of its potential GDP if action is not taken on road safety. 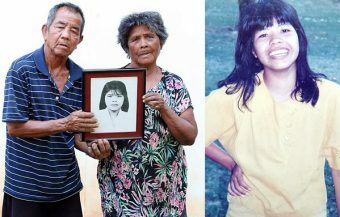 This is in addition to the misery and suffering inflicted on the unfortunate Thai families who everyday continue to lose their most promising loved ones. In the same BBC report as the Thai woman a veteran Thai road traffic police officer is interviewed. He explains to the TV crew that he could, in fact, give a ticket to every car passing on the motorway right in front of him, there and then. But, of course, it would be impossible. ‘Our law is weak,’ he says ‘The police can help but it’s up to the people to respect the law.’ This is perhaps the nub of the problem in Thailand. Thailand is a country, like many developing countries, that is motorising very rapidly. Thai people love motor vehicles including cars and motorbikes. The country is famous for its unique culture and an essential part of that culture is a spirit of a personal freedom. Thailand is very conservative and people are wary of intrusive laws particularly ones that target the fruits of hard work and success. In the last five years there has been a growth of 30% in motor vehicles on Thailand’s roads and the figures are now well in excess of 40 million. There is no sign as of yet that the carnage is going to slow down. The report by the BBC published in 2017 references a UK couple and Chilean man who had traveled by bicycle around the world raising money for charity. 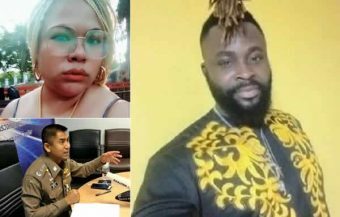 On the last part of their worldwide journey the three were killed instantly by a Thai man driving a pickup which is the vehicle of choice for many Thai people. The Thai man was bending down in his cab to retrieve his hat when he ploughed into the cyclists. 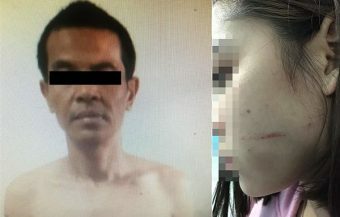 A Thai court later fined him the equivalent of $30 and gave him a suspended prison sentence although the man probably suffered mentally from the incident. Thai courts deal with such instances on a routine basis and Thai law is quite advanced and cannot be criticised for dealing humanely with errant drivers who are honest with the courts and express remorse. 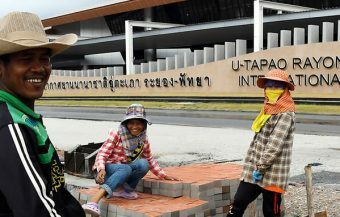 It is another instance where we need to respect the different culture and circumstances that exist in Thailand. 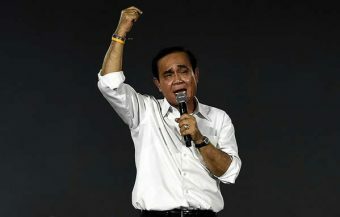 Proposals introduced recently to provide for hefty fines were blocked by Thailand’s PM Prayuth Chan-o-cha on the grounds that the proposed financial penalties would have been too onerous and heavy for ordinary Thai people to endure. The Prime Minister was right. 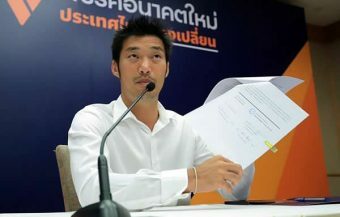 The proposed increases would have seen a maximum penalty of ฿1,000 multiplied by 50 to ฿50,000 which would be approximately 2-3 months salary for a low paid worker in respect of one offence to do with driving with driving without a valid licence. 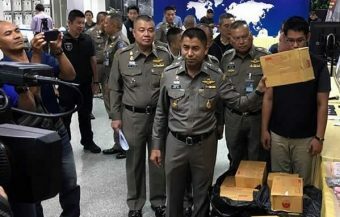 Other offences were increased to ฿50,000 from ฿2,000 and the office of failing to produce a license to police for inspection was to see a tenfold increase from ฿1,000 to ฿10,000. 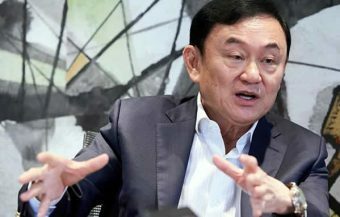 The Prime Minister was of the view that the new punishments, while very onerous, would not offer a solution to Thailand’s escalating road traffic carnage. ‘Let me tell you, you can’t blame everything on driving-licence violations,’ he told the media. 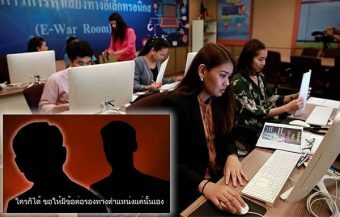 The penalties were simply too high and would have caused undue hardship to busy and hard working Thai nationals working hard to propel Thailand’s society and economy to the next level. Thailand is at a stage in its economic development where western societies were at perhaps 50 years. There is a health respect in Thailand for personal choice and resistance to too much government intrusion. Thai society is deeply conservative, homogenous society in many respects. While Thailand is growing economically, the pay levels for Thai people are also still well below western countries. On the other hand, the average Thai person will spend significant amounts of money to buy a new car or motorbike allowing them to buy into the middle class lifestyle of more mobility and convenience. To put it in perspective, in Thailand the price of new car can, in many places buy a small, inexpensive, no frills condo or property yet many Thai people opt of the new motorbike or car often purchased on credit. This comparison helps define and explain the attitude of this generation of Thai people as the country move forward towards its destiny which is to become a high income economy. In many respects, the success of that economy is based on freedom. Thailand is a country with less regulation and often where it exists, it is often lightly enforced. This ‘laissez faire’ approach has produced a country with strong economic growth and a continuous lowering poverty rates so foreigners should not be too quick criticise not have they a right. It is also producing a burgeoning middle class. Thai people are of course concerned about road safety and even income inequality but there also a strong spirit among Thai people that values personal freedom above all else. The driver of the car van who was later identified as partly responsible for the road traffic crash and fireball that killed the Mrs Modpai’s daughter was found to have fallen asleep at the wheel. Subsequent investigations found that he had driven the 330 km route 5 times in the previous 33 hours. This is quite common in Thailand where you can find taxi drivers using red bull to stay awake while trying to maximise the financial return on cars that are hired at a fixed rate of the day. However the economic loss projected in this latest report may give ammunition to any future Thai government to decisively tackle the issue. The report by the World Bank suggests that such working conditions are counter productive. It also highlights that Thailand could face a potential social welfare bill as a result of road traffic accidents ranging from anywhere from 6% to 32% of GDP although in another analysis it provides a figure of only $1.8 million for Thailand in direct savings. The impact on road traffic accidents is felt primarily by the working population and even though this directly impacts productivity it is easy to see that this age group might be so busy in a competitive and dynamic economy to slow down and observe safety regulations. The cause of death and injury in road traffic accidents in Thailand is the same as the rest of the world. It is speeding and alcohol consumption. The problem with Thailand is a cultural one. Inspitte of the economic benefits that may be forthcoming from stronger regulation and enforcement of road traffic laws, there is a reticence by Thai people about such a regime. Even though Thailand has a skyrocketing death rate in relation to motor bike accidents and has a strong law in relation to wearing helmets, a recent WHO (World Health Organisation) study found that the law was not uniformly enforced and marked Thailand 6 out of 10 for enforcement of the new law. The WHO (World Health Organisation) itself has a base in Bangkok and there are many enthusiastic road traffic safety campaigners in Thailand. A recent initiative promoted by the WHO and Bloomberg Institute called for stronger a PR and media campaign to get message across to Thai people on road safety. This included proposals for fellowship of Thai journalists to write about the issue. It may be perhaps the case that if the economic message is examined and probed by Thai authorities and more relatives like Mrs Modpai come forward to advance the PR message showing the tragic and human loss of the carnage on Thai roads that the situation will begin to change. In the past, The World Bank noted Thailand’s considerable progress in terms of increased traffic enforcement and road investment, praising the country as a laudable example. Still, a staggering paradox was hard to conceal: Thailand’s traffic death rate has increased consistently from 2009 and is now rather high. It is estimated that about 24,000 Thai people lose their lives on the road every year, not to mention many more cases of moderate and severe injuries. 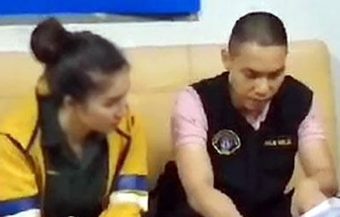 The issue takes an untold toll on many aspects of Thai society, especially when the young people aged 15-29 who are the most promising of Thailand’s working population are particularly hard hit by prolific road accidents. That is, traffic-related accidents are seen as the single main reason for mortality and permanent disability for young Thai people. The new analysis is predicting that Thailand would lose approximately 22 percent of its GDP per capita income growth over the next 24 years if it failed to address the abysmal state of road injuries it is suffering from, according to a recent World Bank report named ‘The High Toll of Traffic Injuries: Unacceptable and Preventable.’ The good news is that Thailand, along with other countries reviewed by the report, can fix the problem. It needs, however, to be willing to pay a hefty price to address the issue. To be more specific, the country should be ready to spend significant sums of money on efforts to reduce traffic-related injuries by half over the next 24 years, according to the report. The World Bank, arguing that high traffic death toll will lead to dire consequences on national productivity, economic growth and well-being, has called on Thai government to implement strong measures. They include stronger traffic regulations and focus on traffic injury prevention as a health priority.